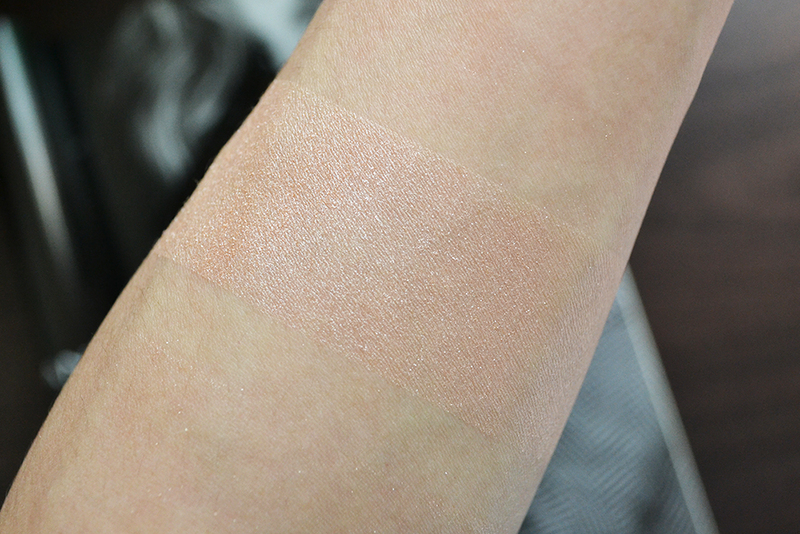 Pink Sugar Sweet Cheeks HD Cheek Color In Concrete Jungle Review and Swatch | Top Beauty Blog in the Philippines covering Makeup Reviews, Swatches, Skincare and More! Pink Sugar recently launched their own makeup line which includes a wide range of really cool and affordable products such as eyeshadow palettes, lipsticks, powder blushes, face powder, eye liner and concealers. 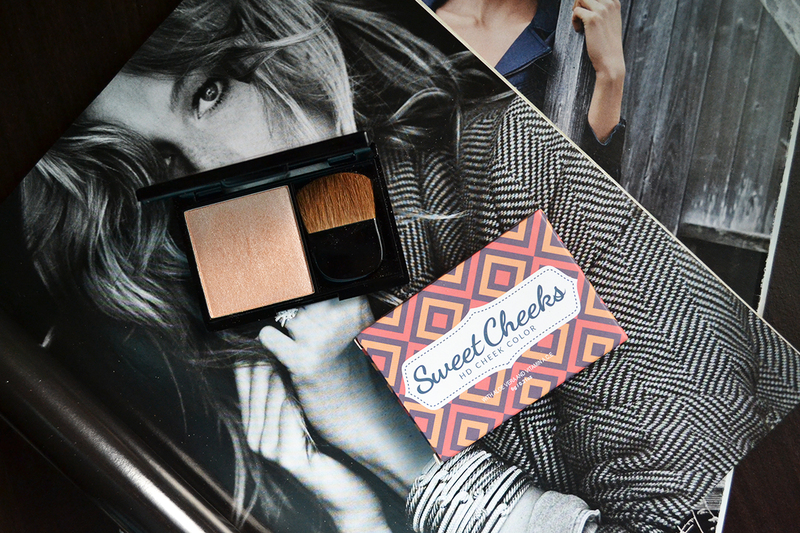 This review is for the Sweet Cheeks HD Cheek Color In Concrete Jungle which is a pale peach highlight color. 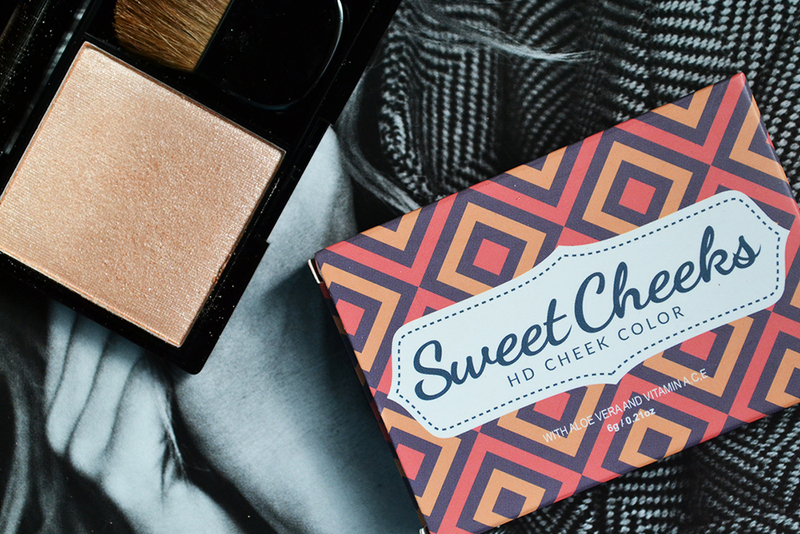 Just like their Eye Candy Eyeshadow palettes, the Pink Sugar Sweet Cheeks HD Cheek Color comes in very sturdy and sleek black packaging made of plastic that snaps shut. It also has a large mirror and a pony-hair brush inside which comes in handy especially when travelling. The quality of this HD cheek color is really great ― very pigmented, easy to blend and doesn't look dusty and crumbly once already applied to the cheeks. But compared to their eyeshadow palettes (review here) which are buttery soft, the texture of this one is more on the dry and powdery side that's why you have to be a bit careful and don't go crazy when dipping your brush into the product. My only criticism about this product is that I feel like the shimmer particles on this compared to the other highlighting products that I own is a tad bit chunky bur nonetheless, the glow that it gives to the skin once applied still looks very beautiful and spot on. Aside from highlighting, you can also use this product as an eyeshadow color and a blush topper. This product lasts for about 5 to 6 hours which I think is a pretty good amount of time. uau, such a cute packaging and the color is jut awesome! thanks for sharing!! I love this sparkling shade! Segue que eu sigo de volta! It's so pretty and sparkly! Thanks for the review! Looks lovely... I'll have to try it! Love the shade and texture! Such a beautiful and girly color for cheeks! love it! What a beautiful colour, love it!! Nice shade! Have a nice weekend! The shade is indeed absolutely beautiful! This cheek colour is so gorgeous - and flattering I'd imagine! This looks lovely. Makes it seem as if you are glowing from within. this shade is wow. I need this too.